Beautiful beaches, a rich cultural history, home to the Dutch royal family, meeting venues that range from palaces to the largest auditorium of the Netherlands: The Hague is probably the most well-rounded event destination in Europe. On top of that, the city is easy to access due to the proximity of Amsterdam Airport Schiphol – which offers the greatest direct connectivity of all European airports and – it’s just 30 minutes away. The Hague has a royal history spanning over several centuries, which led to the presence of numerous palaces and aristocratic homes throughout the city. Some are still being used by the royal family, while others serve as hotels, museums, and… meeting venues! Unique locations like the Royal Theatre and the 17th century palace Mauritshuis, which possesses a world-famous collection of paintings, will turn your meeting into an unforgettable experience. However, it’s not just historical venues in The Hague. The city offers large, state-of-the-art venues such as the Fokker Terminal and the World Forum. The city’s diverse venues make the city highly suitable for a wide range of meetings: from large conventions in an auditorium to private dining in a room full of paintings by the Dutch Masters. The versatility of The Hague doesn’t just stop at its meeting venues: the city truly has something for everyone. This compact city offers enchanting architecture and has an outstanding infrastructure. At the same time, it’s located at the seaside and has beautiful sandy beaches and promenades. 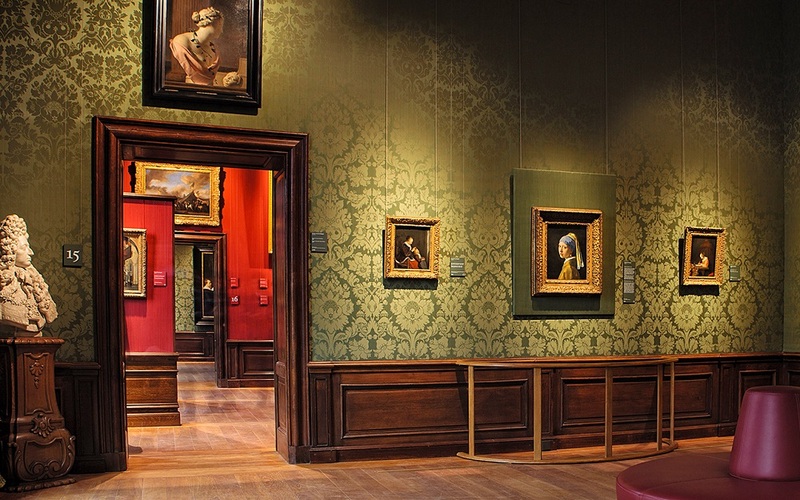 Being the political center of the Netherlands, The Hague works towards a bright future – while its numerous museums offer you an impressive glimpse at the past. Other museums contain fascinating contemporary works of art that let you dream away – while more than 370 international organizations and 450 multinationals ensure that business is done 24/7. This vibrant Dutch city might not be as well-known as Amsterdam, but it’s genuine, welcoming, and less touristy – giving you a realistic impression of what life in The Netherlands is like. The Hague is internationally oriented, and the country has the highest number of proficient non-native English speakers in the world. Getting around the city is easy, since the infrastructure and public transportation are truly exceptional, and directions are given in both Dutch and English. 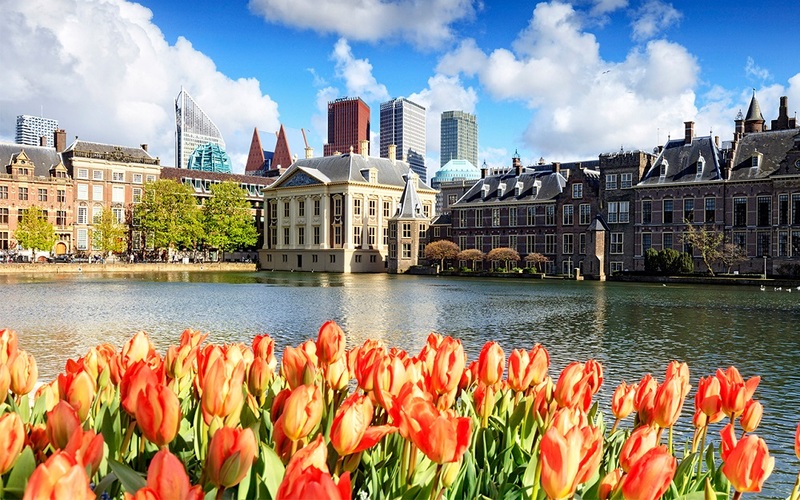 The Hague’s proximity and connectedness makes it a great base for exploring multiple famous Dutch cities as Rotterdam, Amsterdam and Utrecht are all located within a 1.5-hour range by road or railway. The Hague is widely known as the International City of Peace and Justice and it is the second UN city, after New York. Over 10,000 people in The Hague work every day to make the world a better, more peaceful place. Their efforts are translated into the presence of many top-class international institutions, such as Europol, the International Criminal Court and Tribunal, as well as the 2013 Nobel Peace Prize winning Organisation for the Prohibition of Chemical Weapons. The city houses the largest security cluster in Europe: The Hague Security Delta. Major international advancements and breakthroughs in the fields of cyber security, forensics, national security and critical infrastructure originate in the area. The country is one of the most wired countries in the world and has an outstanding glass fiber optic infrastructure that contributes to excellent internet access across the country. For decades, The Hague’s focus has been on developing renewable energy and tapping into the potential of new technologies that make a positive impact on the environment. 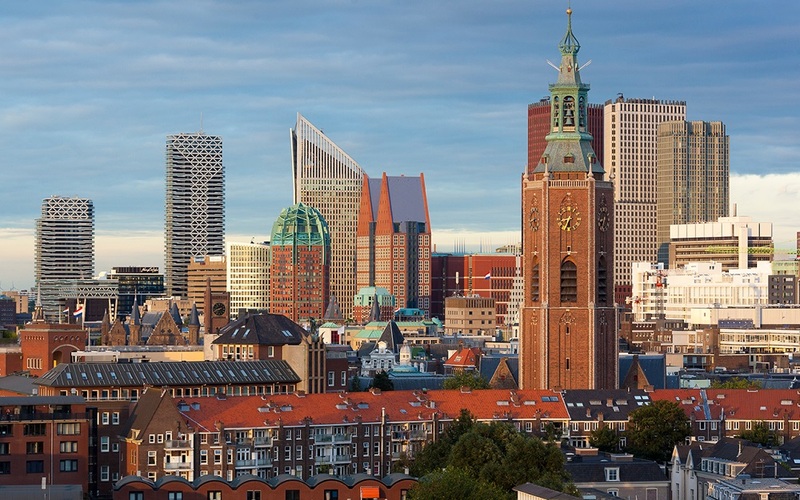 The municipality of The Hague has recently set the ambitious goal of becoming a CO² neutral city by 2040 and thus 10 years before the rest of the Netherlands. One of the most recognized names of the Oil & Gas industry: the Royal Dutch Shell, is located in The Hague, as well as regional centers for other important players, such as Kuwait Petroleum (Q8). 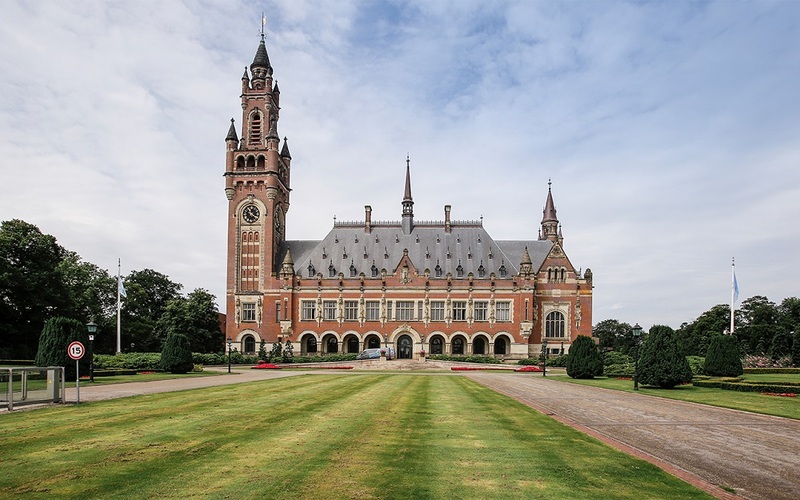 The Hague is a key player within the legal and finance sector. Industries such as insurance, asset management and pension expertise are well-established within the city, employing around 13,000 people. After a long day of business, seminars and meetings, it’s important to get a little rest and relaxation. The Hague offers plenty of possibilities: whether you are looking for a nice restaurant or bar, or a breath of fresh air and the sights and sounds of the sea. With 11 kilometres of coastline and beautiful beaches, such as Kijkduin and Scheveningen, The Hague provides its visitors with an authentic vacation feeling. This year, Scheveningen beach – which used to be the resort for many royals, aristocrats, and world leaders – grandly celebrates its 200 year-anniversary. 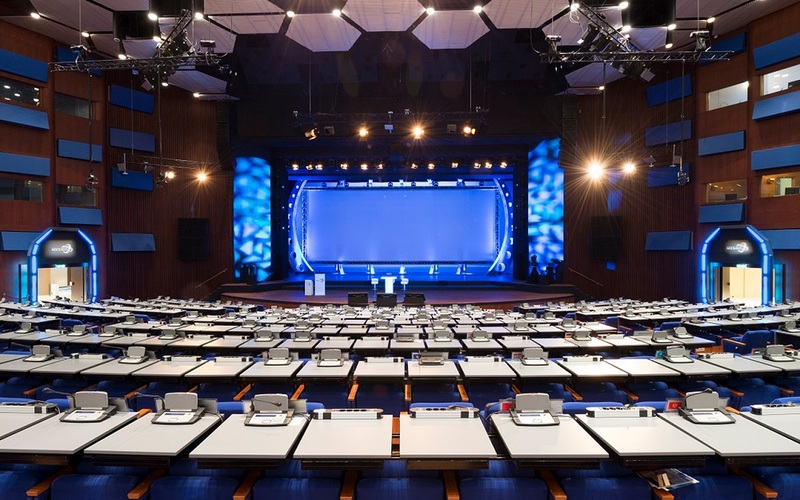 If you want to organize a top-class event with an impact, in a city that matters – we invite you to contact us at The Hague Convention Bureau for impartial and custom advice. The Hague Convention Bureau works closely with a strong network of local partners. Together, we help event organizers gain access to the best event infrastructure that The Hague has to offer.